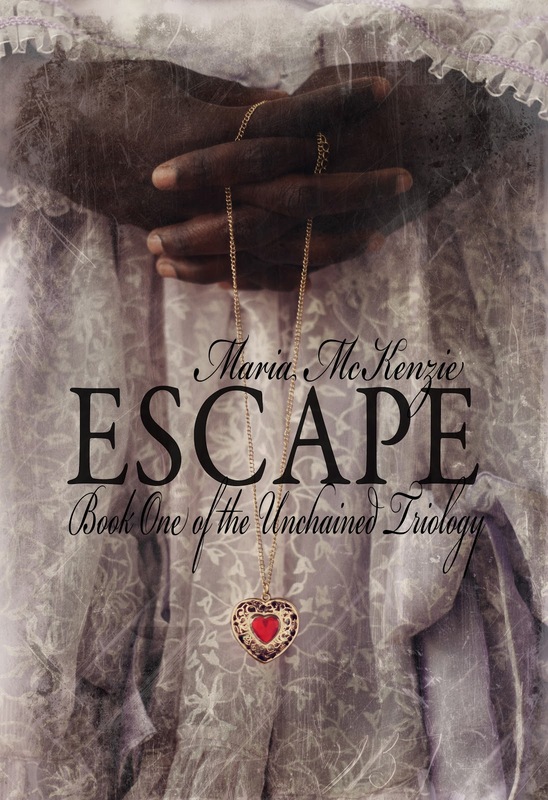 I've been doing a blog tour for my novel Escape this month, and today, I've stretched myself thin! Please visit me over at Karen Jones Gowen's blog, Coming Down the Mountain, where I'll be discussing dialogue and character, using Humphrey Bogart's Rick Blaine from Casablanca, one of my favorite movies! 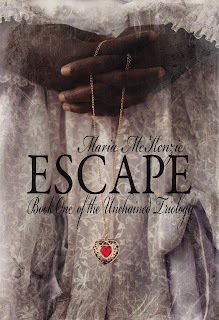 Also, catch me at Nas Deen's blog, Romance Book Paradise, discussing Escape and Masquerade, parts one and two of my Unchained Trilogy series! Please visit both sites and leave a comment! 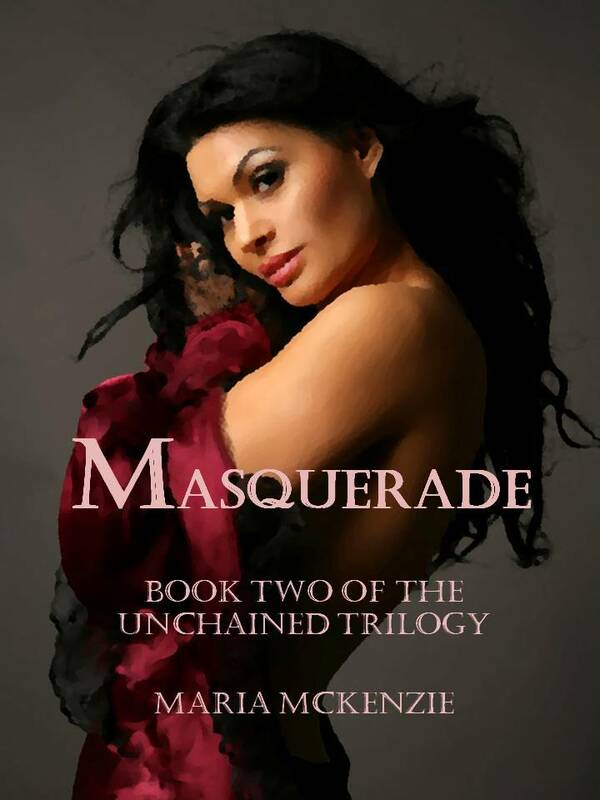 This is my first blog tour and I've found it a great way to connect with readers worldwide! What are your thoughts on blog tours? 'Tis approaching the season for turkey, so here's something easy for your crock pot from Betty Crocker's Slow Cooker Cookbook--enjoy! Great with rice or noodles. Sprinkle turkey with salt and pepper. Place turkey in 5-6 qt. slow cooker. 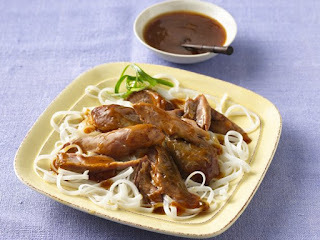 Mix plum sauce, onion and soy sauce. Pour over turkey. Cover and cook on low 8-10 hours, or until juice of turkey is no longer pink when centers of thickest pieces are cut. Remove turkey from cooker. Cover with aluminum foil to keep warm. Remove any fat from sauce. Mix cornstarch and water; stir into sauce. Cover and cook on high 15-20 minutes, or until sauce has thickened. Cut turkey from drumsticks. Serve with rice or noodles, and sauce. Makes 4 servings. I love turkey, but usually only cook it during late October and up through New Year's, while whole turkeys are plentiful. But what about you? Do you cook turkey all year long (turkey breasts are always available), or only during the holidays? Today, you can catch me over at Romantic Friday Writers guest posting on some of the most important tips for indie writers. Please visit and leave a comment! 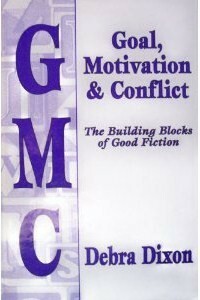 The first tip I mention is to write a great story, and one of the best tools available to help you achieve this is Debra Dixon's outstanding book, Goal, Motivation and Conflict. Over the weekend I had the opportunity to attend her GMC workshop! I was absolutely blown away, it was so amazing! If you're not familiar with this book or would like to own it, order it here for 19.95 from Gryphon Books For Writers. If you're indie published, what's the most important thing you've learned about independent publishing? If you're a reader, what annoys you most about indie published book? Isn't it amazing to find something you're not even looking for? Research can be like that at times. As a former reference librarian, I enjoy searching for information and finding answers. But sometimes, authors make unexpected discoveries that actually help them in crafting their stories. This is especially true for those who write historical fiction! Maybe you've been trying to determine just the right expression for a 1930's character to use when you hear Johnny Depp say "like nobody's business" in the movie Public Enemies. Or maybe you want some in depth information on thespians in turn of the century New York, and then you stumble upon just the right book at a flea market--for $2.00! 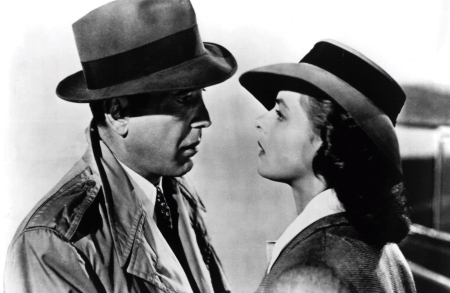 Perhaps you're trying to envision a dinner party from the 1940's, and when flipping through channels, find an old movie depicting just that. Or while visiting the museum, you see a furniture exhibit that can help you develop a description for a bedroom in 1889. Could be that writers are more attuned to what's around them when creating their narratives. However, finding something that helps when least expected it, is the most fun and unexpected part of research! If you're a writer, what have you stumbled upon that helped you develop your story? If you're a reader, what's the most helpful information that you just happened to stumble upon? So just who was Julia Sand? 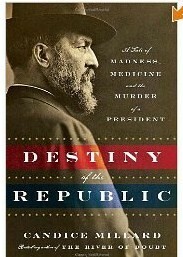 I'd never heard of her until I read Candice Millard's Destiny of the Republic: A Tale of Madness, Medicine and the Murder of a President, an amazing account of James A. Garfield's life and the assassination attempt on him while serving as president. Garfield, an extraordinary man, was actually nominated for president against his will. However, four months after his inauguration, he was shot in the back by the deranged Charles Guiteau, who'd sought a political office in Garfield's administration. It wasn't the would-be assassin's bullet that killed the president, but rather the medical treatment Garfield received. 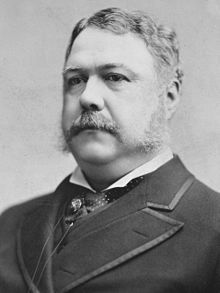 As Garfield suffered for nearly two months, the nation was thrown into turmoil, and during this time, Vice President Chester A. Arthur ( a not so extraordinary man) stayed in seclusion. When Guiteau was apprehended he announced his wish for Arthur to become president. Because of this, there was a brief investigation into whether Guiteau had been hired by Garfield’s enemies. Although no proof was found to support this, there were threats made on Arthur’s life and he feared making public appearances. Arthur’s past was linked to some scandals involving the New York Customhouse and many thought Arthur as president would mean disaster for the country. Here's where Julia Sand fits into the equation. She corresponded with Arthur beginning in late August of 1881, before Garfield's death. Her last surviving letter is dated September 15, 1883. Sand referred to herself as the President’s “little dwarf”, alluding to the idea that in a royal court, the dwarf is the only one with courage enough to tell the truth. The day [Garfield] was shot, the thought rose in a thousand minds that you might be the instigator of the foul act. Is not that a humiliation which cuts deeper then any bullet can pierce? Your kindest opponents say "Arthur will try to do right"– adding gloomily –"He won’t succeed though making a man President cannot change him." …But making a man President can change him! Great emergencies awaken generous traits which have lain dormant half a life. If there is a spark of true nobility in you, now is the occasion to let it shine. Faith in your better nature forces me to write to you – but not to beg you to resign. Do what is more difficult & brave. Reform! that you have none but the purest of aims. administration. And what shall posterity say? It is for you to choose…. Apparently, her words of encouragement inspired and changed him. At the end of his presidency, Arthur earned praise from his contemporaries for his solid performance in office. In 1886, the New York World wrote: "No duty was neglected in his administration, and no adventurous project alarmed the nation." And according to Mark Twain, "[I]t would be hard indeed to better President Arthur's administration." Had you ever heard of Julia Sand? Also, can you think of anyone you can encourage today? Thanks for visiting and have a great week!